A wrongful death lawsuit in Amherst County VA was settled this month for $1.9 million, and could be a record for the county, local officials say. The lawsuit was filed against an out of state trucker by the widow of a Madison Heights garage owner who died in a 2012 truck/pedestrian accident. Dennis Cash, 64, the second-generation owner of Cash’s Garage in Richmond, died on Feb. 27, 2012 as he was helping to clear the roadway of VA 130 when a truck flipped over. He was hit by a tractor trailer driving by the scene. His wife filed the wrongful death lawsuit against the driver of the truck – Rodolfo Pacheco, who lives in Georgia. Cash’s widow stated that what was more valuable than the settlement amount was the court order that stated that the deceased was not at fault for the tragedy. The suit stated that Cash and team from his garage responded to a crash that night with a heavy vehicle wrecker to move the overturned truck. Pacheco picked up a load at the Georgia Pacific paper mill nearby, and he entered VA 130, although his truck was too large for the road. The suit also claimed that Pacheco left the scene initially after he knowingly caused the accident. All truck drivers should know the rules of the road, including whether or not their rig is too large to drive on certain roads. Also, the Virginia CDL Manual states that if a truck driver is in a crash, he or she should protect the area, call the police, and help the injured. By most likely driving too fast and carelessly where the accident occurred and by leaving the scene of the accident, this truck driver certainly left himself open for a lawsuit. 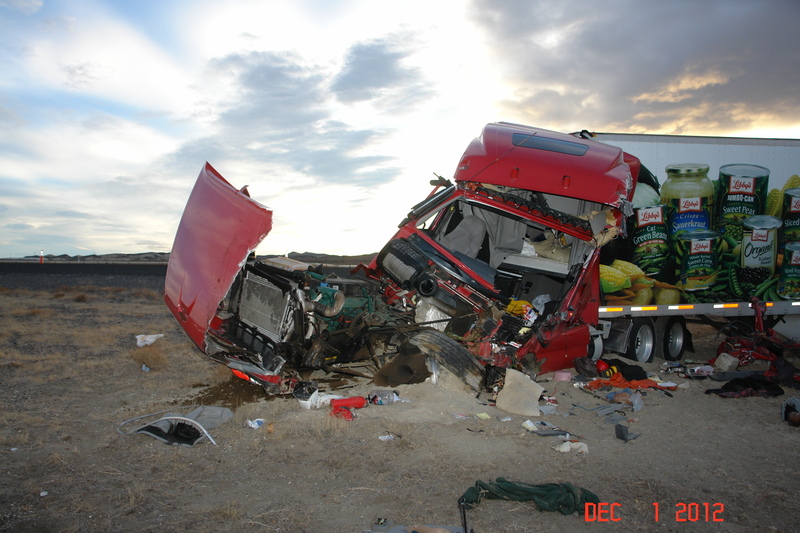 Our Virginia trucking accident law firm also once represented the loved ones of a truck driver who was killed when he was on the roadway assessing damages from another accident. It was a complex accident, but we showed that the truck that caused the accident had balding tires and inoperative lighting. A satisfactory, confidential settlement was reached.